Les Renardières cottage is a spacious cottage on 150 hectare working sheep farm surrounded by fields and woodland. 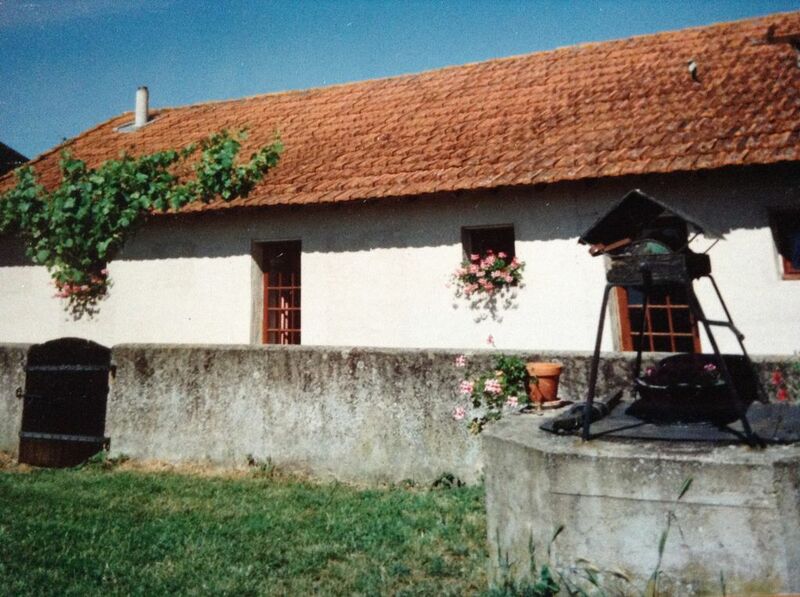 Set in the heart of the unspoilt Poitou Charentes Region of France, provides comfortable family accommodation at an affordable price and is the perfect base to explore the beauty and tranquillity of rural France. The cottage sleeps 3 people and it is all on ground level. Large living room with 1 single bed, sofa, English TV and DVD player. At the back of the cottage you have your own private garden and patio area equipped with outdoor furniture and B.B.Q. Enjoy a meal and glass of wine as you watch the sun set over the field behind. Kitchen equipped with oven, fridge, utensils, table and chairs also has 2 seater sofa. Bathroom has a bath/shower, WC, basin and washing machine. 6 meter round above ground seasonal splash pool, 1 meter 22 deep and hot tub suitable for 6 people both set in there own area opposite the cottage. Pool open June, July, August and September. May weather permitting. The Vienne River only 10 min away for water sports canoeing, Kayaking and swimming and there is an 18 hole golf course 20 mins away. Persac village is only 3 min in a car or you can walk, it has a small supermarket/tabac, bar/restaurant Le Trèfle and a bakery. Lussac-les-Châteaux is 10 min away, every Friday morning holds a small market with local produce there is also a prehistoric museum, a large supermarket and restaurants.